Learning and acquiring skills is rapidly shifting from the four walls of classrooms. Co - scholastic activities not only groom the inherent talent of the child but also give them an extra edge and confidence. Student’s talent and skill is identified by teachers and supported by parents to bring out the best they are capable of. The additional hour is optimally utilized for the development of hobbies, expert sports coaching and extra academic help. Thus, the family is able to spend quality time at home. At SPS Rohit Nagar, the Skill Enrichment Classes (SEC) are designed systematically so that Sagarites can perform and excel in vocational courses also. 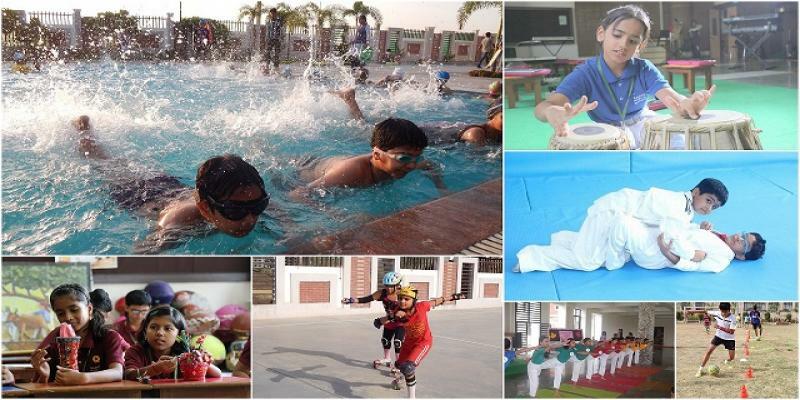 Skill Enrichment Classes are categorised into three segments: Sports, Aesthetic and Literary.